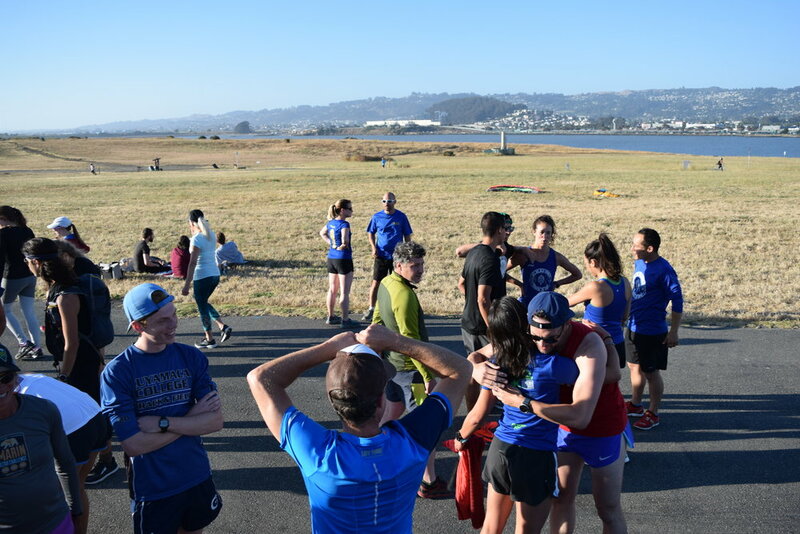 On a summer evening in June of 2018, twenty-seven teams toe a line of chalk near the Berkeley shoreline. Runners flinch nervously, waiting for the signal to start the Fourth Annual Port Mile Relays. The sun sags lazily over the San Francisco Bay, drenching everything in a gilded sheen. 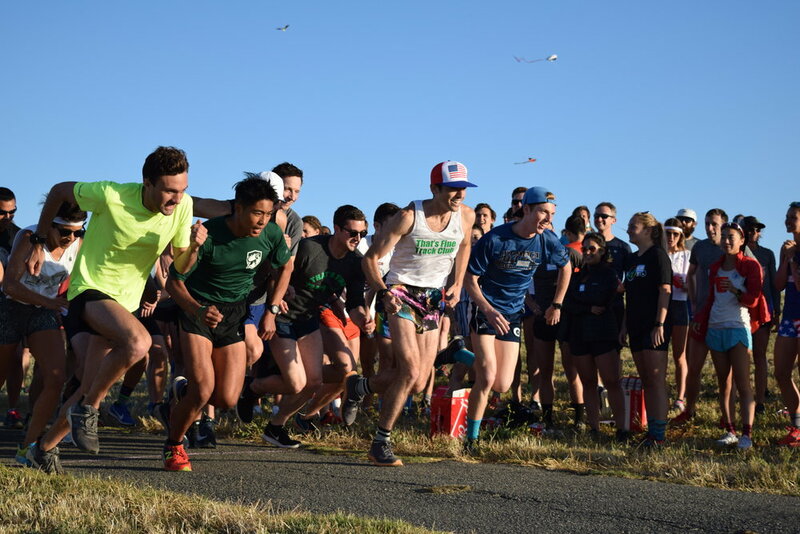 An unsanctioned urban race, the PMR is organized by That’s Fine Track Club—an urban collective of post-collegiate, semi-collegiate, and never-collegiate runners and enthusiasts. The club is known for their irreverent approach to distance running: blending a desire to run fast without taking themselves too seriously. Port Mile Relays is a twist on the classic four-person relay: every runner races a mile at top speed. 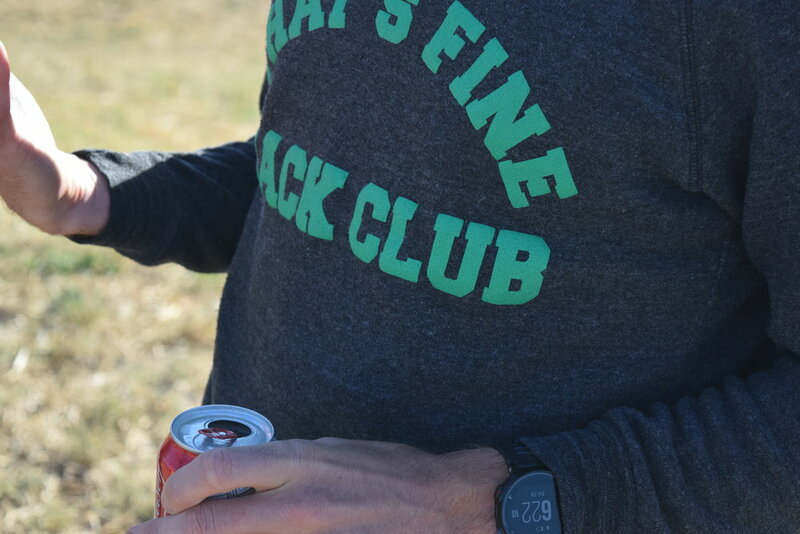 The caveat is that at each exchange participants must finish a 12oz cup of beer before the next runner can begin. The first team to run four miles and finish four beers wins. 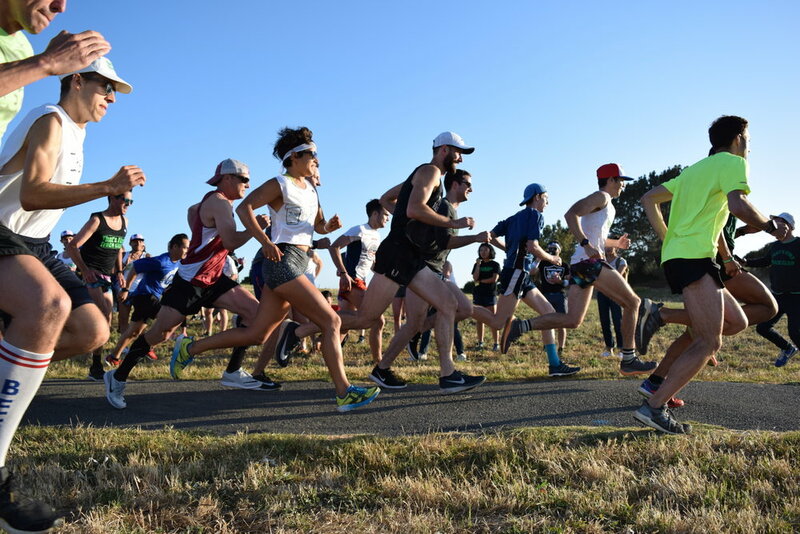 Port Mile Relays was formerly held in the Oakland Port itself... that is until the authorities angrily booted the unsanctioned event with stern language and wagging of fingers. So this year's relay was held in Berkeley's César Chavez Park. 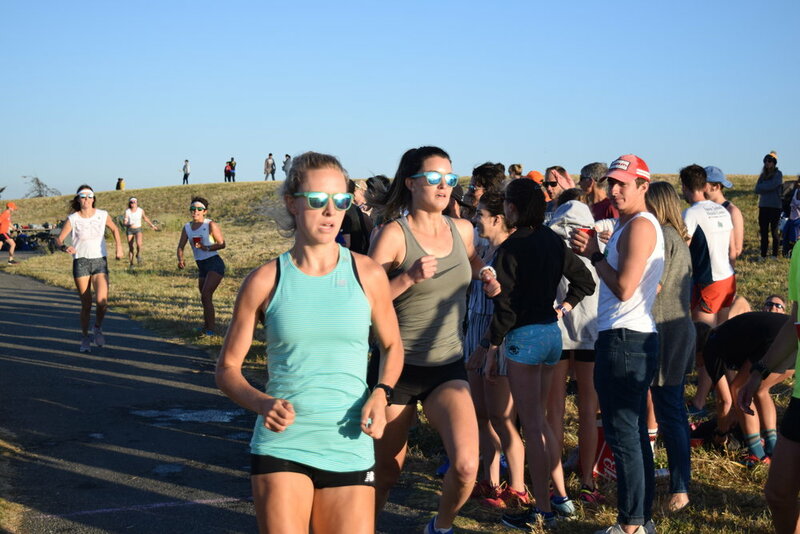 Despite the low-key organizing, minimal marketing, and utterly non-existent prize money, over 140 folks show up to race, watch, and cheer. The vibe is inclusive, the miles are fast, and the beer is cold. It is an evening of local running community, cutting across boundaries of club, crew, age, gender, and race. As the start time approaches, runners mill around the picnic area designated as the relay exchange zone. A few dozen jog around the area, scratching their heads as they try to figure out the convoluted race course. You can't blame them for being confused, the route measurements are being taken even as the runners gather. But all are in good cheer. Fun times and fast running is the order of the day. The mile-long route features multiple loops, weaving around the park's hills. 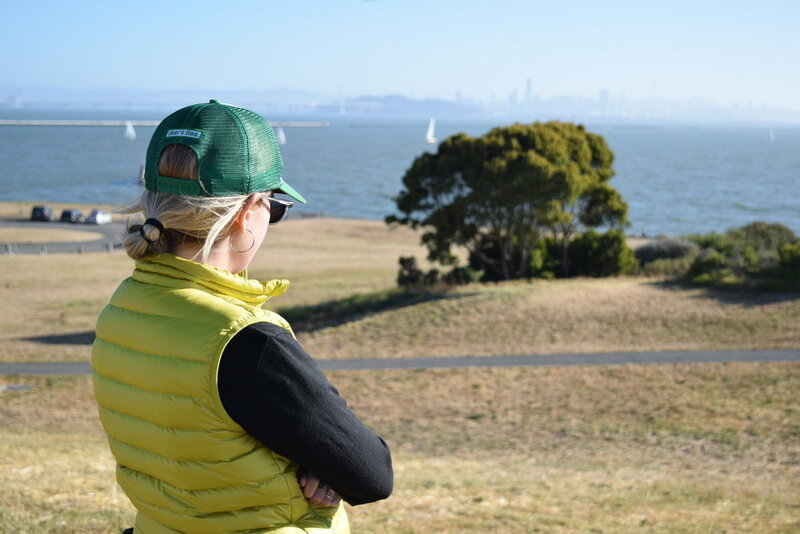 The 360-degree views of the San Francisco Bay obscure the race venue's origins. These hills are filled with garbage. 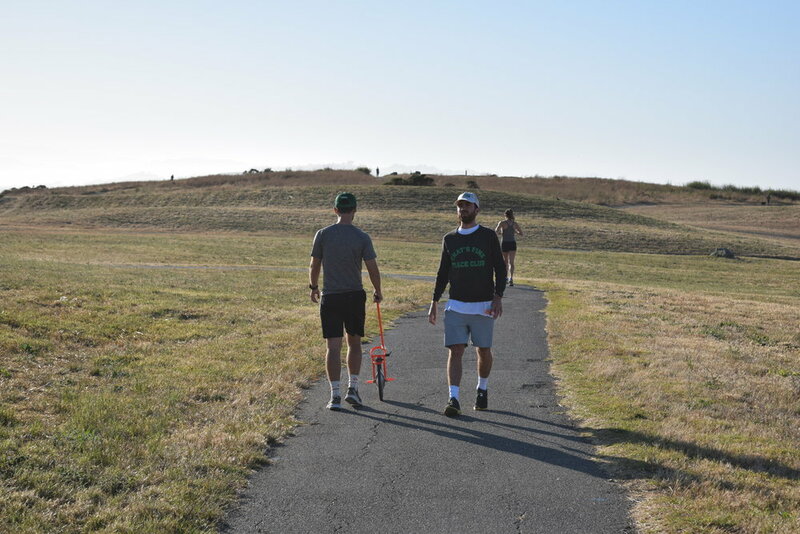 The area was used as a dump for municipal waste up until 1991, when the city of Berkeley sealed up the landfill and transformed the area into green space. Eventually, instructions are given out and a That's Fine member in denim jeans leads the entire group through a round of stretches. Then the organizers corral everyone toward the start. The runners cram onto the narrow asphalt path. Dog walkers amble by, wondering what all the hoopla is about. And then, with a shouted command, the runners burst off the start line. The men’s race spreads out quickly. In typical male fashion, most of the men go out too hard; they are wheezing on fumes by the 800-meter mark. 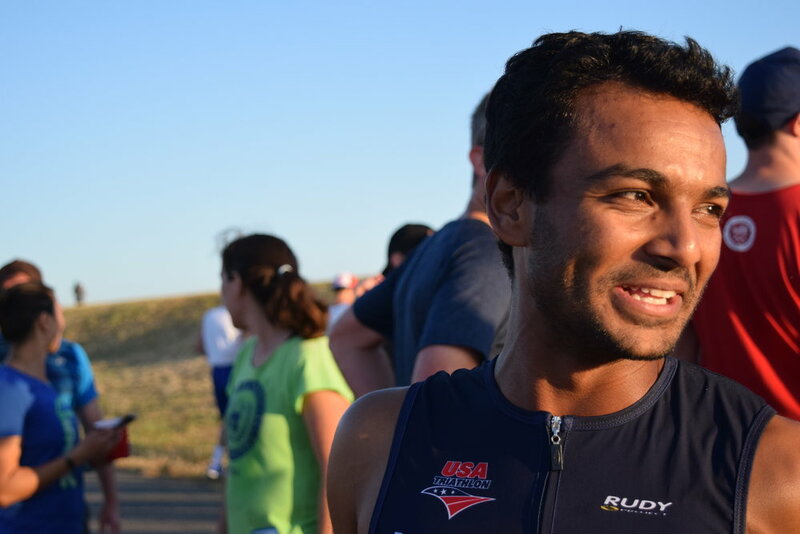 There will be several lead changes throughout the first leg of running and the beer exchange. The women’s race is more tactical. The leading ladies go out in a bunch. A pack of four female teams begin their second leg together. The race is on. Runners enter the exchange zone, wheezing through oxygen debt. They arrive to a teammate’s outstretched arm holding a Solo cup heavy with beer. 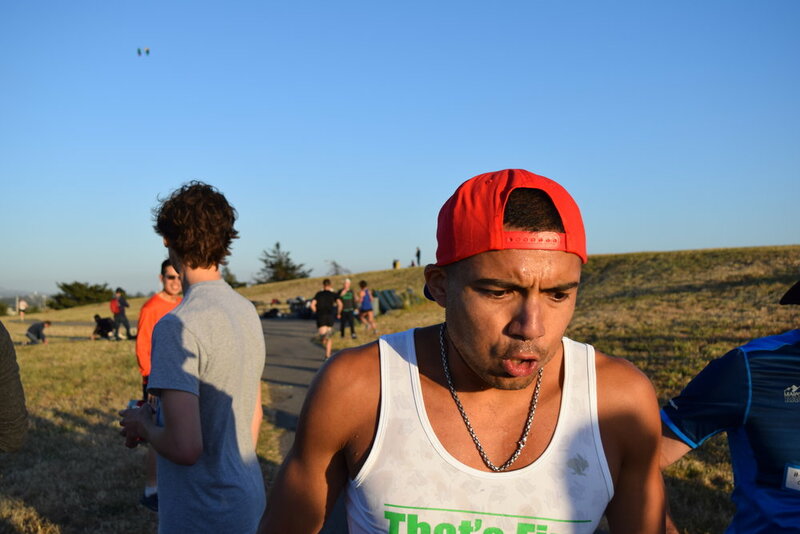 Gasping, desperate for breath, runners must swallow down the Budweiser. The next leg watches like an eager dog pulling at a leash, ready to sprint off when the beer is finished. But the path is narrow and the start/finish area becomes clogged with runners trying to finish their beer. A few collisions occur. Amid the hurly-burly, “It’s OK Jog Company” pulls ahead to definitively win the men’s race. It’s not even close. Team “Jugz N’ Chugz” pulls out the women’s win amid the crowded field of talented runners. The rest of the teams' anchor legs begin to stream in. As the race winds down, runners gather along one of the hillsides. An impromptu awards ceremony is enacted on the dried, golden grass. 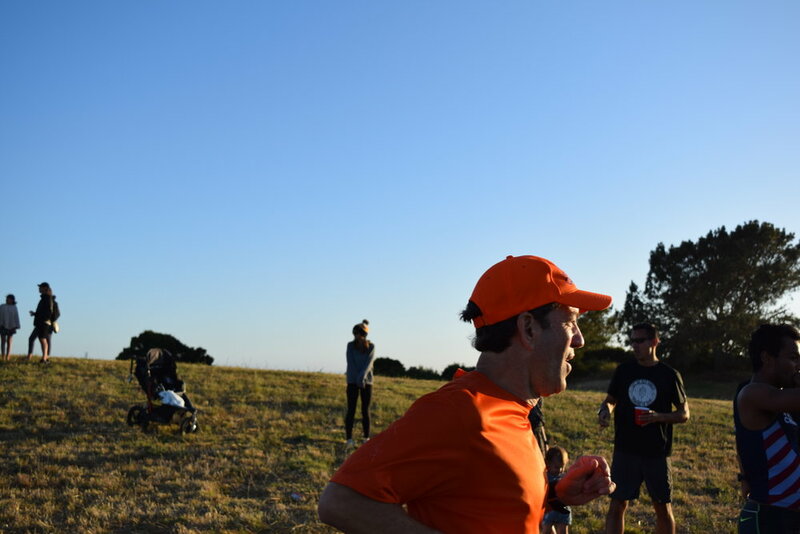 And so, sitting against a hill made of garbage, the runners celebrate and cheer the winning teams as they accept their awards—fittingly, bottles of port wine. And then it's over. As the sun sinks down beyond the Golden Gate and the air begins to chill, the crowd wanders off into the night. The world is burning, society is eroding, and the political center has collapsed. But it is summer in California and, for a moment, everything is fine. Follow That's Fine Track Club and John Williams on Instagram. That's Fine swag is available for purchase.